Jurnal Terapan Abdimas, with registered number ISSN 2502-2806 (print), ISSN 2502-2784 (online) is a scientific multidisciplinary journal published by Universitas PGRI Madiun. 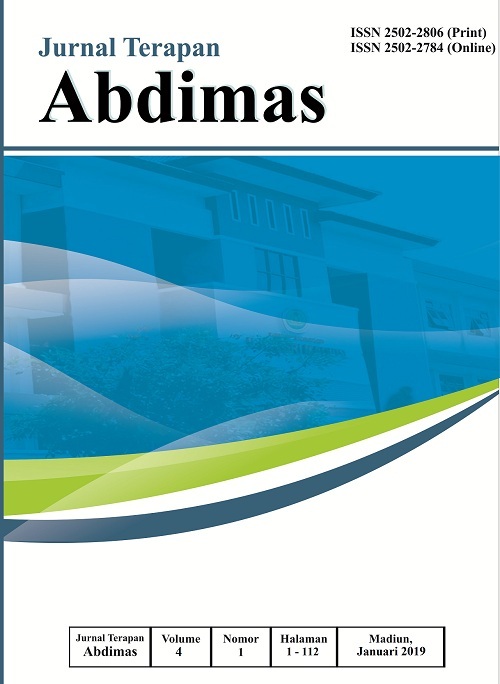 Jurnal Terapan Abdimas published on January and July. It is in the national level that covers a lot of common problems or issues related to community services. The aim of this journal publication is to disseminate the conceptual thoughts or ideas and research results that have been achieved in the area of community services. 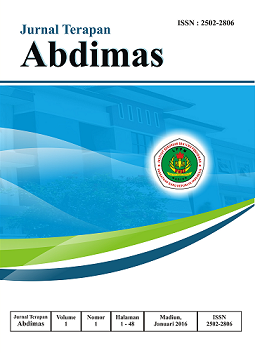 Jurnal Terapan Abdimas by http://e-journal.unipma.ac.id/index.php/jta is licensed under a Creative Commons Attribution-ShareAlike 4.0 International License.